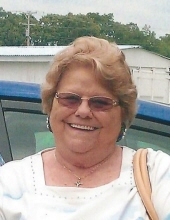 Webb City, MO – Sue M. Carr, 81, Webb City, MO, passed away early Sunday morning, July 1, 2018 at her home. Sue Marie Roberts was born July 11, 1936 in Webb City, MO to the late Durward Roberts and Stella (Poole) Roberts. She graduated from Webb City High School, Class of 1954. Sue married Dennis Dee Carr on December 22, 1953 in Huntsville, AR; he survives. After raising her four children, Sue attended Cosmetology School and was a hairdresser for 30 years, owning her own salon, The Rainbow Beauty Shop, and later managed and worked in two other salons. Sue was a member of Frisco Church in Webb City for 18 years, then Joplin Family Worship Center, Joplin, MO, where she was still a member when she passed away. Survivors include her husband, Dennis (Pete) Carr, one daughter, Sara Gibson Goswick (husband Tad), Joplin, MO; one son, Eric Carr (wife Casi); nine grandchildren, Adam Carr (wife Veronica), Autumn Neuenschwander (husband Mark), Zachary Carr, Trevor Carr, Carman Carr, Mallory Carr, Caleb Carr, Luke Gibson and Gage Carr; seven step grandchildren, many great grandchildren and numerous nieces and nephews. She is also survived by one sister, Judy Gregory, Joplin, MO. She was preceded in death by two sons, Michael (Tony) Carr, and Timothy Carr; and one sister, Jeanette Jensen. Visitation will be held 6-8 pm, Thursday, July 5, 2018 at Joplin Family Worship Center, Joplin, MO. Funeral services will be held 10 am, Friday, July 6, 2018 at Joplin Family Worship Center. Minister Dan Wermuth will officiate. Interment will follow the service at Ozark Memorial Park Cemetery, Joplin, MO. Memorial contributions may be made to the Shriners or to St Jude’s Hospital in care of Knell Mortuary. Online condolences may be expressed through http://www.knellmortuary.com. Arrangements are under the direction and personal care of Knell Mortuary.